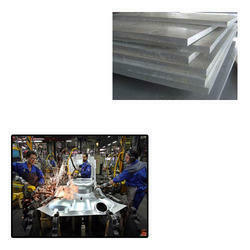 Our range of products include stainless steel plate for automobile industry. Widely acclaimed as an efficient and effective supplier and retailer, we are engaged in offering Stainless Steel Plate For Automobile Industry. Stainless steel plate for automobile industry has steel mixed with a higher carbon content which provides enormous tensile strength. Suitable for many applications where normal surface imperfections are allowed, stainless steel plate provides good machinability with very good welding properties and is available in lighter and medium thicknesses by heat treatment. Looking for Stainless Steel Plate for Automobile Industry ?